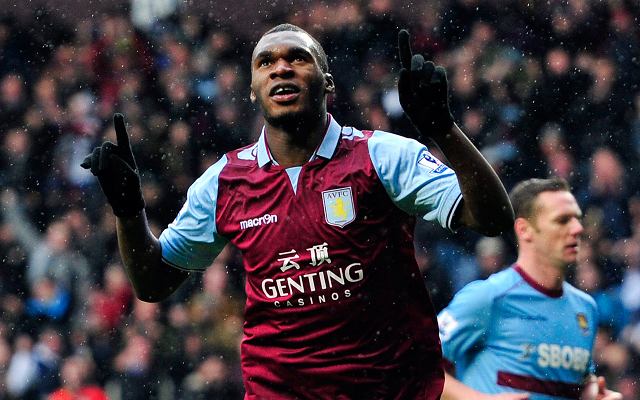 Club will reject all advances for the striker this summer.Aston Villa are preparing to offer star striker Christian Benteke a new deal in a bid to ward off interest from elsewhere to keep him at the club, the Telegraph reports. Paul Lambert knows that there will be significant interest in the 22-year-old this summer after his fine form has seen him bag 22 goals already this season, with 18 coming in the league. A hat trick in the 6-1 win over Sunderland this week saw him become Villa’s highest scorer in the league since Dwight Yorke. Arriving from Belgian side Genk for £7 million last year, Benteke is just one year into a three-year deal worth £20,000 a week, and Villa chairman Randy Lerner is reportedly ready to offer the 6’3 netbuster an improved deal to ward off potential suitors and persuade him to stay in the Midlands. Manchester City, Inter Milan and Borussia Dortmund have all scouted him this season, and Spurs have been linked with him several times, but they would have to cough up a lot more than what Villa paid for him with a fee of at least £25 million being mentioned. Benteke is only behind Robin Van Persie and Gareth Bale and Luis Suarez in terms of Premier League goals this year, and he finished in second place behind the Welshman for the prestigious PFA awards last weekend.